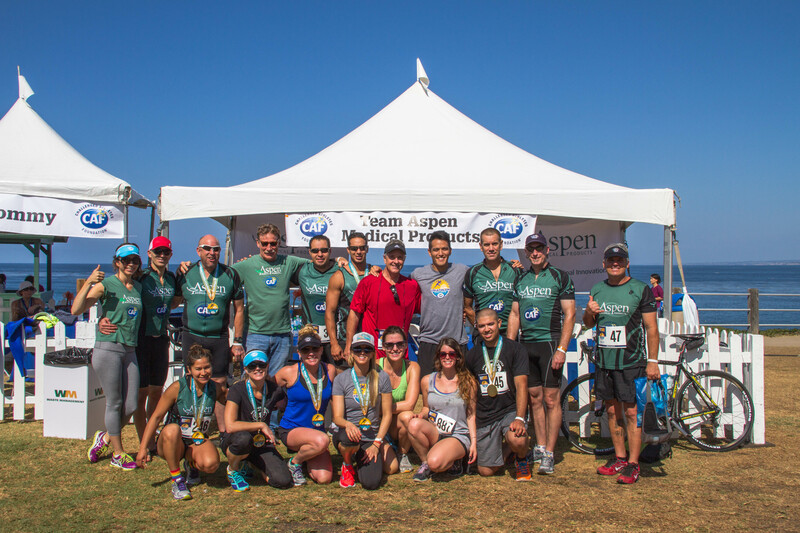 With Aspen Medical Products and The Challenged Athletes Foundation each celebrating their 25th anniversaries this year, the 2018 San Diego Triathlon Challenge (SDTC) promises to be an event to remember! 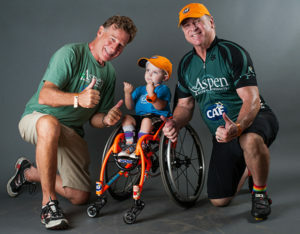 Aspen has been involved with CAF for more than 18 years and has been the title sponsor of their biggest event, SDTC, since 2009. Both companies have worked tirelessly over the years to ensure SDTC succeeds in raising money to provide adaptive equipment, training, coaching and other resources to the physically challenged. From injured veterans to children born with physical challenges, CAF helps support more than 2,400 people a year. Team Aspen has been a huge part of this event. 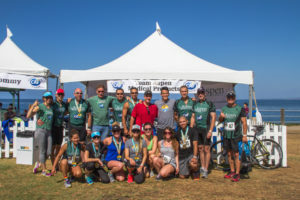 Each year employees fundraise and go to La Jolla to volunteer and participate. Employees bring their whole families down to La Jolla to experience the event. As the company has grown, so has participation and Aspen could not be prouder. We come together to persevere, uplift and inspire each other and it’s a remarkable thing to watch. For more on Aspen’s involvement with CAF, please view our video here. What started as a small fundraiser to help a local injured triathlete, has grown to be known as the “Best Day in Tri.” Please join us in celebrating 50 years of supporting over sixty thousand athletes who define perseverance, dedication and hard work. 50 years of raising more than $84 million to fulfill over 21,000 funding requests – helping to change the lives of millions around the world. Aspen Medical Products is a leader in the design, development and marketing of upper and lower spinal orthotics. For 25 years, the company has introduced a continuous flow of pioneering spinal bracing products and services to the healthcare marketplace. Headquartered in Irvine, California, the company has local sales representation throughout the U.S. as well as internationally.